Many years ago I had an argument with an old friend of mine, about the fact that there was now also punk in China. I thought it was great that Chinese punks were touring and releasing records in Europe. In contrast my friend would argue that once again Western cultural imperialism had prevailed, not leaving China a chance to develop a separate identity. He said that even the most rebellious punk musik is still only the by-product of much larger Western industries, that are destroying traditional, authentic cultures around the world. Even though we are the same age and both grew up with the same pop- and rock music, in this case we couldn´t see eye to eye. He then illustrates his point by posting a record from North-Korea. 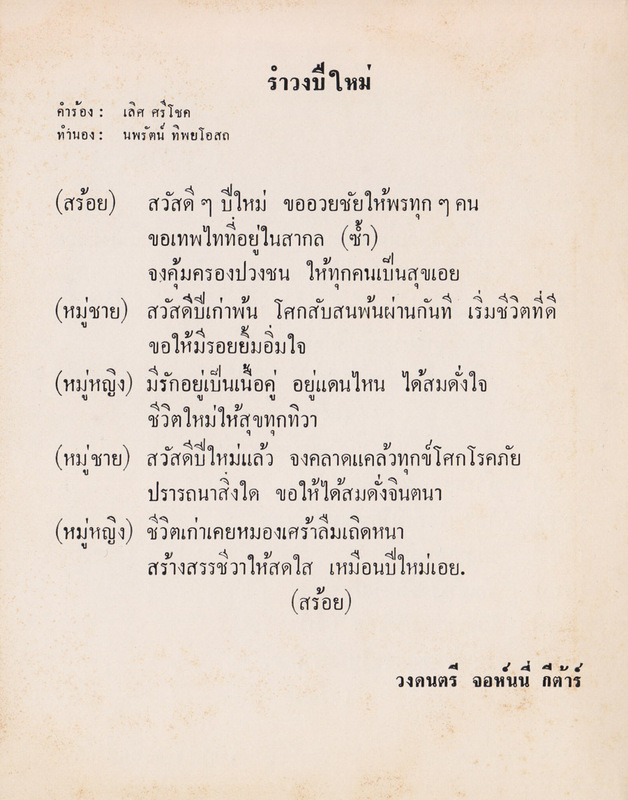 In the summer of 1999 my girlfriend and went on vacation in Thailand. We spent three very enjoyable and relaxing weeks at the beach on a hippie island. In fact this was the best vacation I ever had: nice people who never bother you, great food that is so healthy that you can´t even get fat from it and of course great beaches. A couple of days before our departure we took the train to Bangkok and stayed in the city. One day my girlfriend went to see the huge golden lying Buddha. I didn´t want to go with her, because I was determined to find some vinyl records. The owner of our hotel had told me that there were thrift-stores and record-stores in Chinatown. 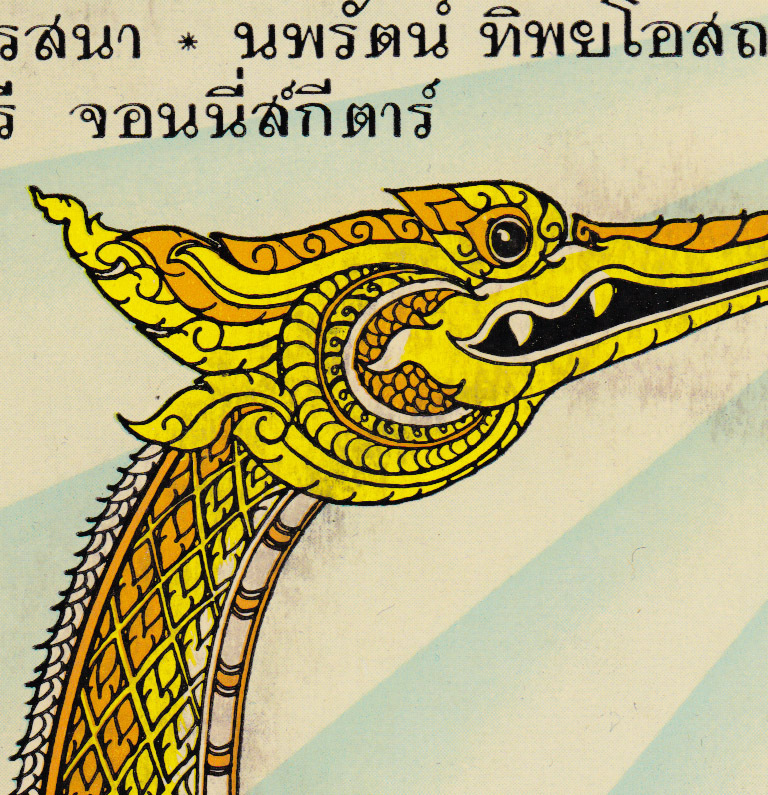 Sweating and nervous I fought my way through Bangkok , a city of 12-million people. The first record shop didn´t want to sell me anything at all. The second pointed me to a corner of the shop with Western music. 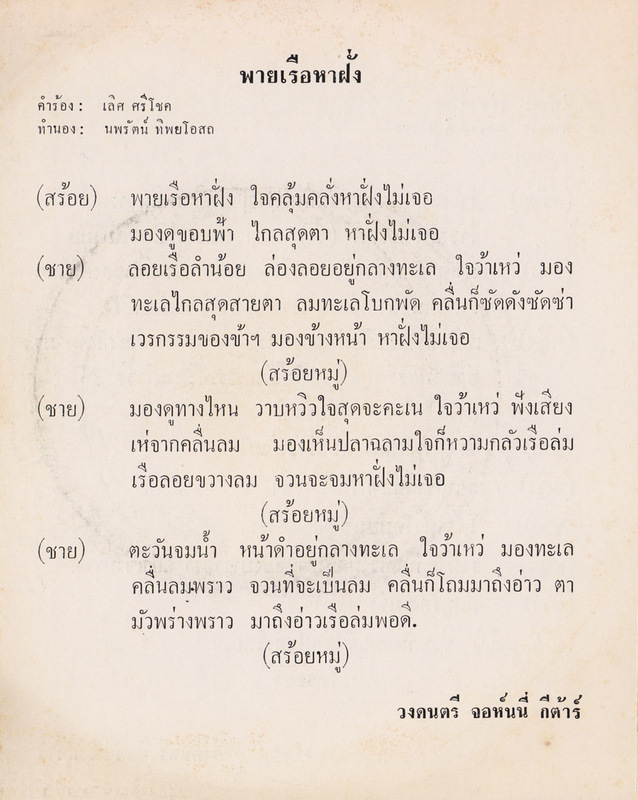 I respected that, because it seemed that, except maybe for their own Thai culture, everything was for sale in Bangkok. In the third store however, I was welcomed in a friendly manner by a young man. I remember that I was surprised that the store seemed to have multiple copies of a lot of old records that had never been played. When I asked if I could listen to some of the records the young man, who didn´t speak English, motioned me to wait. An old Chinese lady wearing full make-up, a pinned-up hair-do, a Kimono and a cigarette holder then played and sold me these records. I swear, this is how I bought these records. 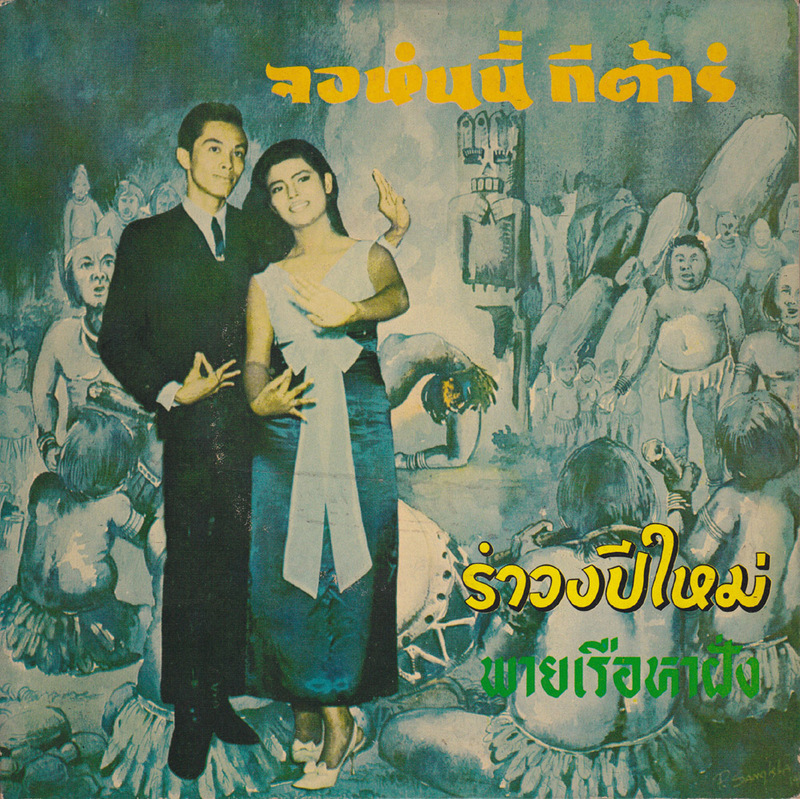 This music is a fine example of the said cultural collision, of traditional Thai music connecting with rock´n´roll. When I played this record at home, my friend really liked it. Johnny Guitar is a band. 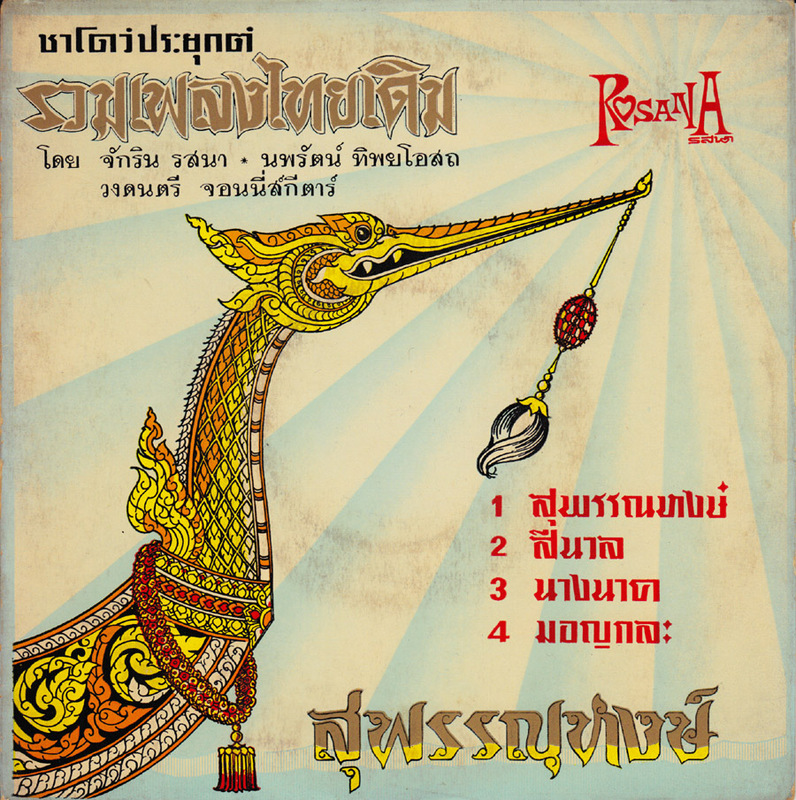 It has been featured on the first Thai Beat A Go Go compilation released by Subliminal Sounds and the Shadow Music Of Thailand compilation released by Sublime Frequencies. 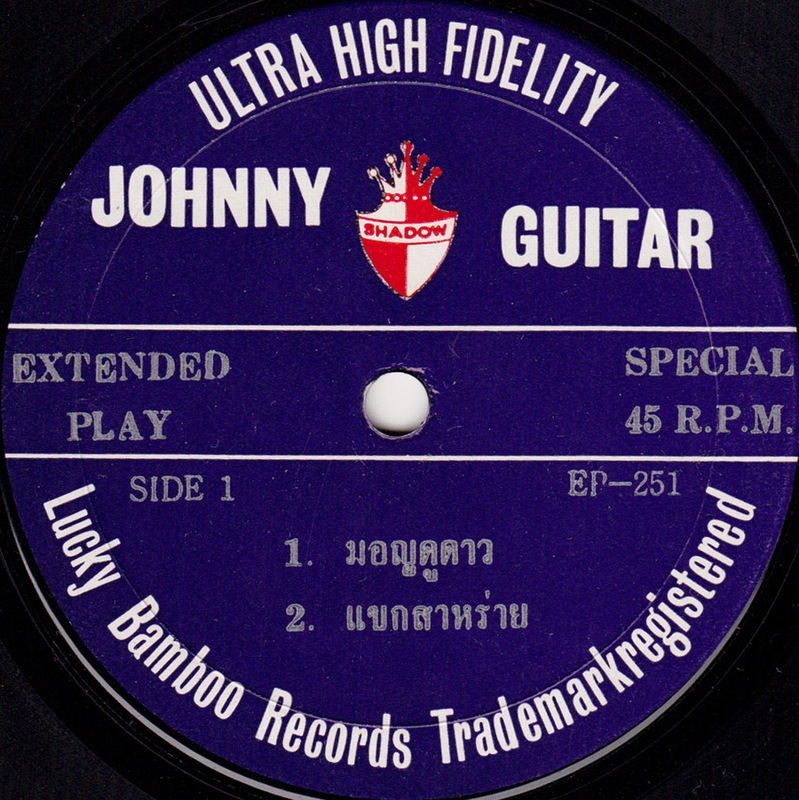 Radiodiffusion Internasionaal has written about Johnny Guitar and posted two tracks from the Johnny Guitar LP. 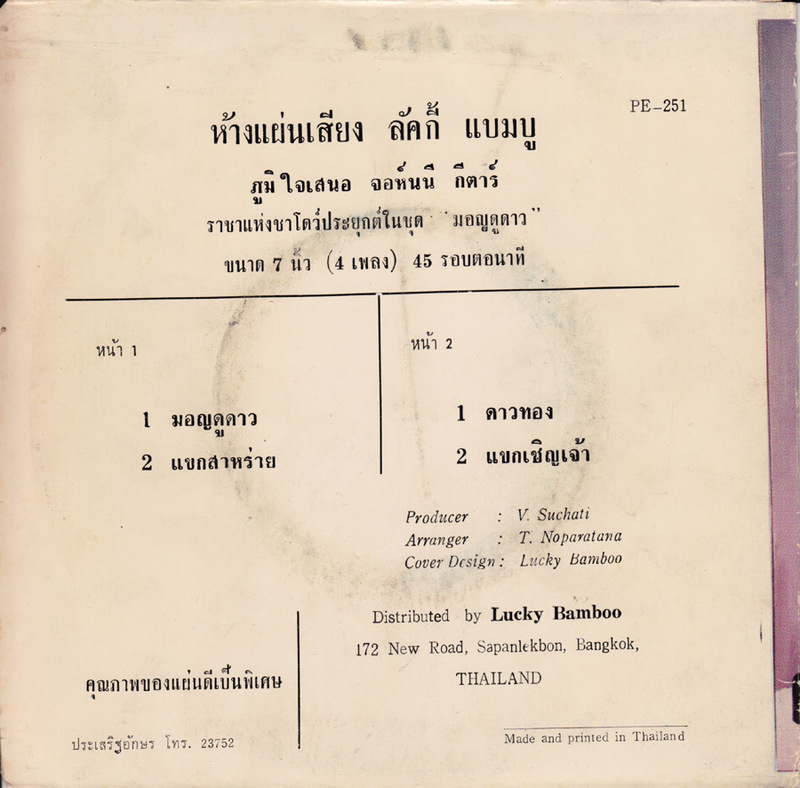 I saw that LP in the Bangkok record shop but didn´t buy it because I only buy 45s. What an idiot I am! I´ll never see it again. 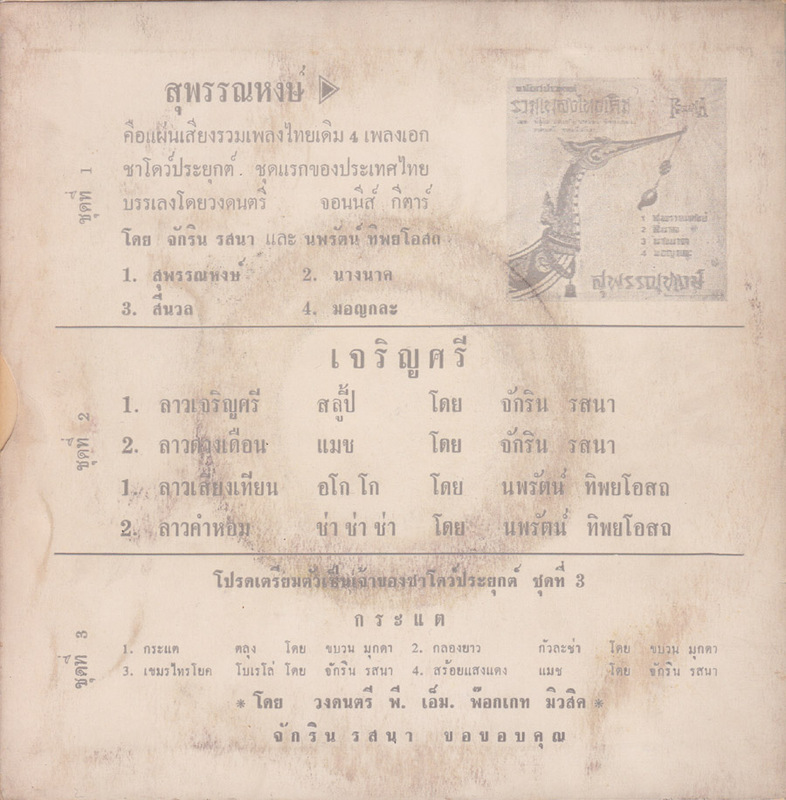 I always shied away from posting these records because I don´t know anything about these groups, nor when they were released. 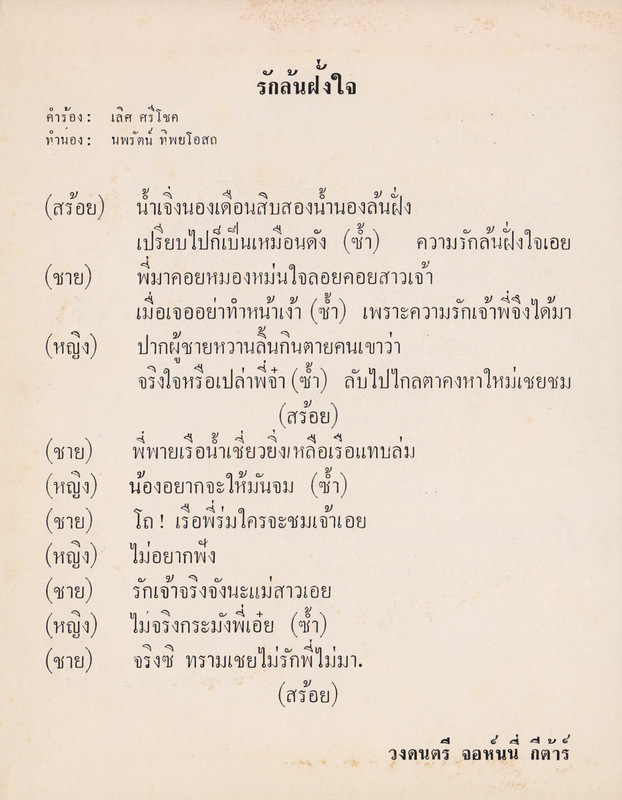 I don´t know Thai and even if I´d taken the time to transcribe the Thai letters, I wouldn´t know how to put them into this article. But this record is puzzling in many ways. So I´m a little ashamed to simply give these songs numbers. 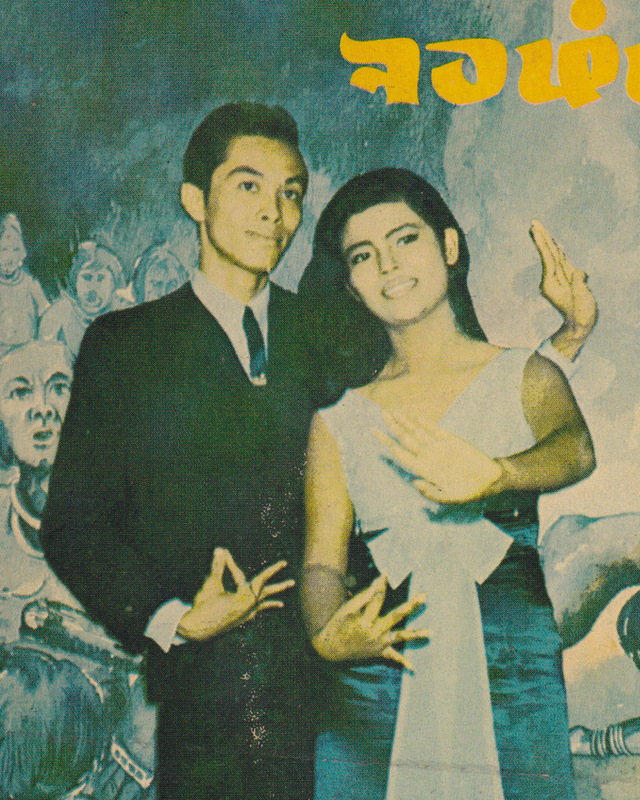 Who is this couple and what is the meaning of the hand signs? 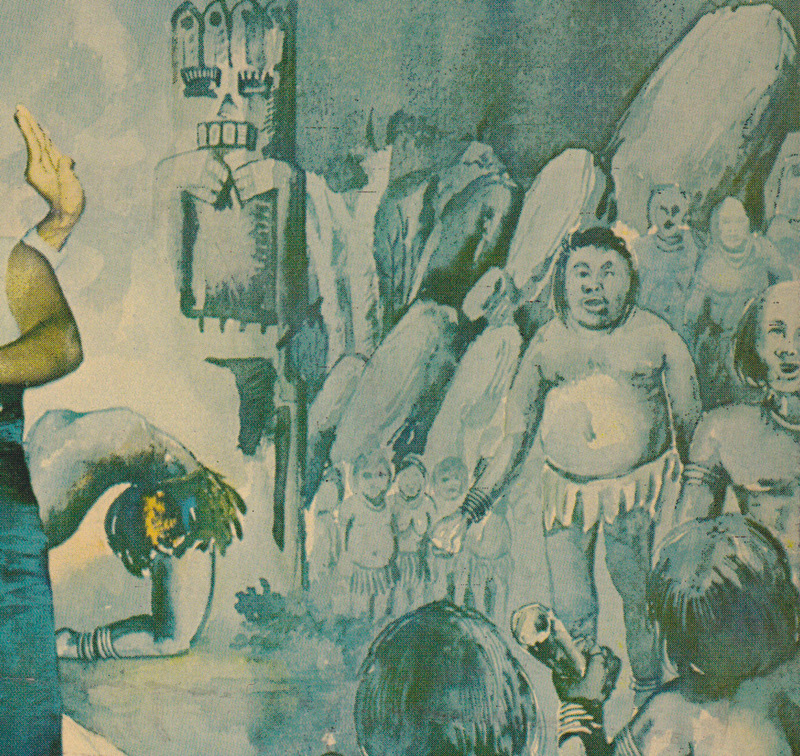 What´s the story behind the painting of the natives in the background? Maybe somebody can help. 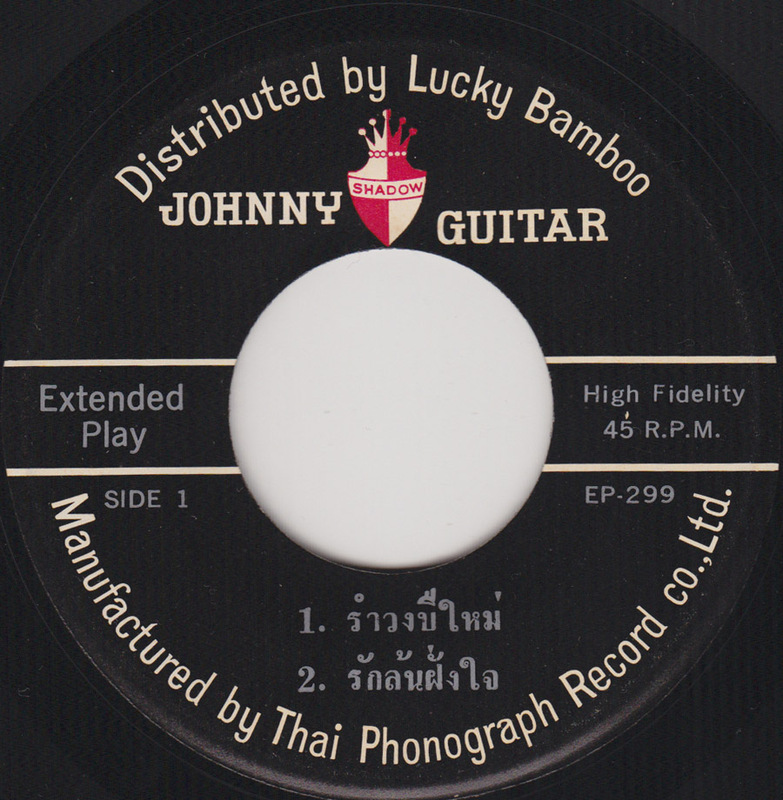 Johnny Guitar were among the so-called Shadow Music groups from Thailand, groups that were influenced by the British instrumental rock´n´roll group the Shadows. That influence can clearly be heard in these songs. The sleeve on the other hand doesn´t look like a rock´n´roll record, a record made for teenagers, at all. 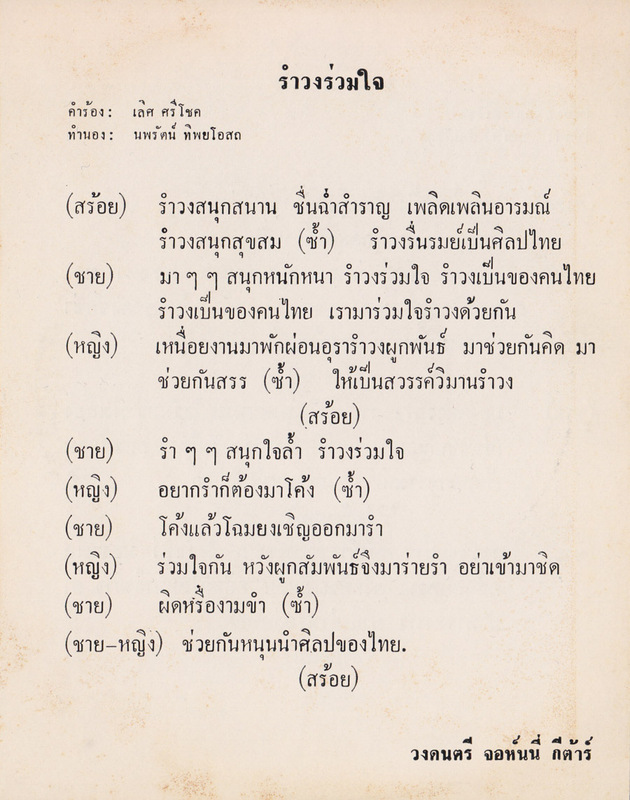 It looks like it was made to appeal to an older, more conservative Thai audience. 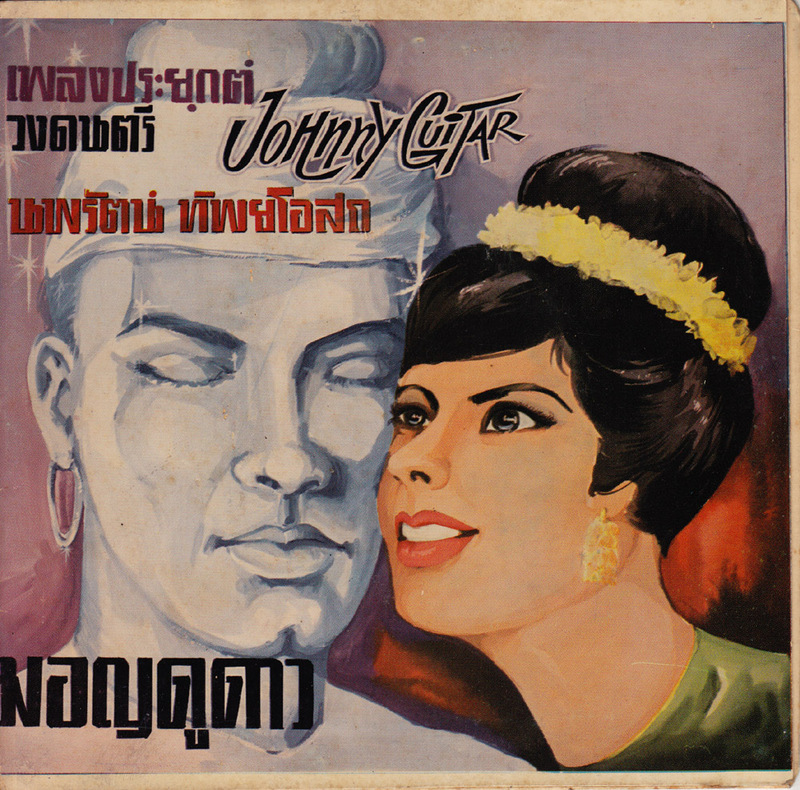 Or maybe Johnny Guitar was such a cool group that they decidedley chose a traditional Thai image to counteract their new music. I´d like to believe it was the latter. 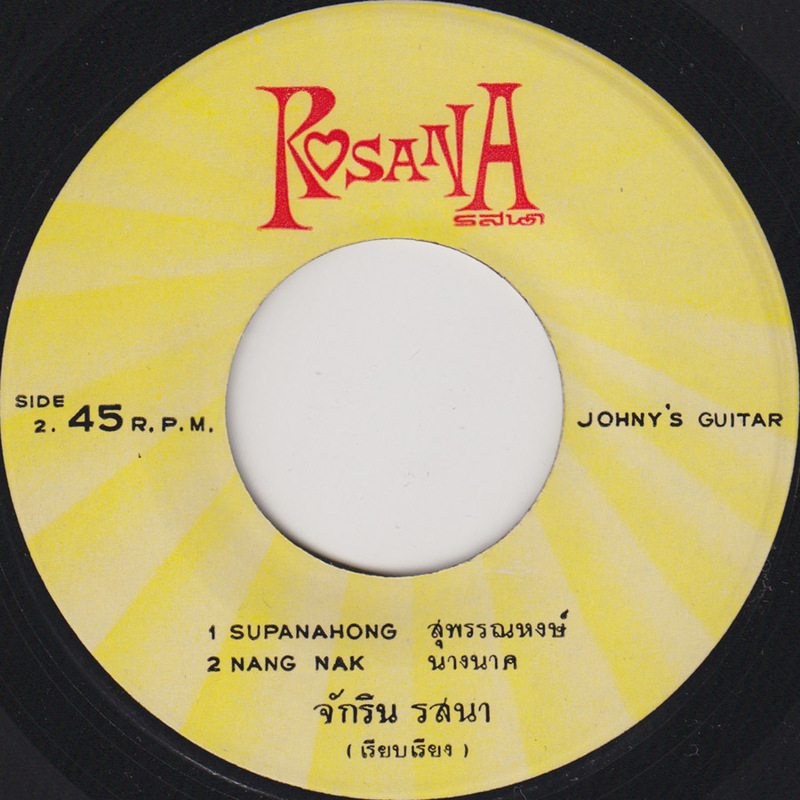 Johnny Guitar hit in Thailand with Supanahong in 1966. 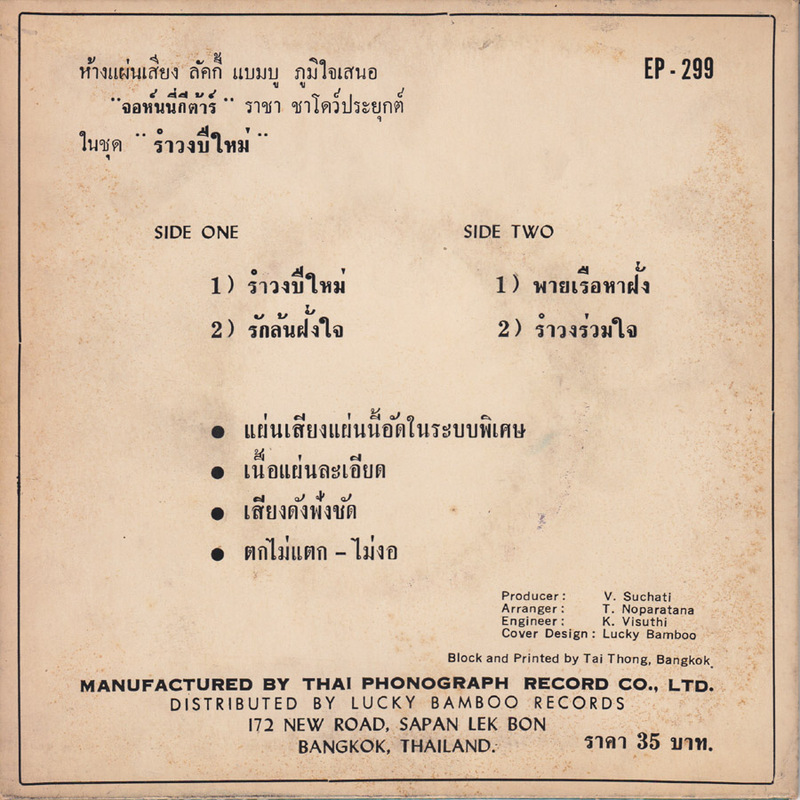 It is featured on the first Thai A Go Go compilation.